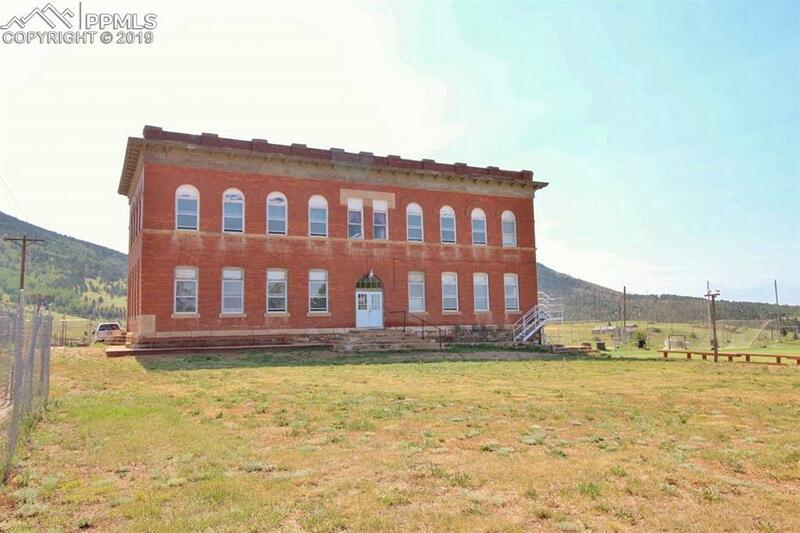 This is a rare opportunity to own an amazing historic building. 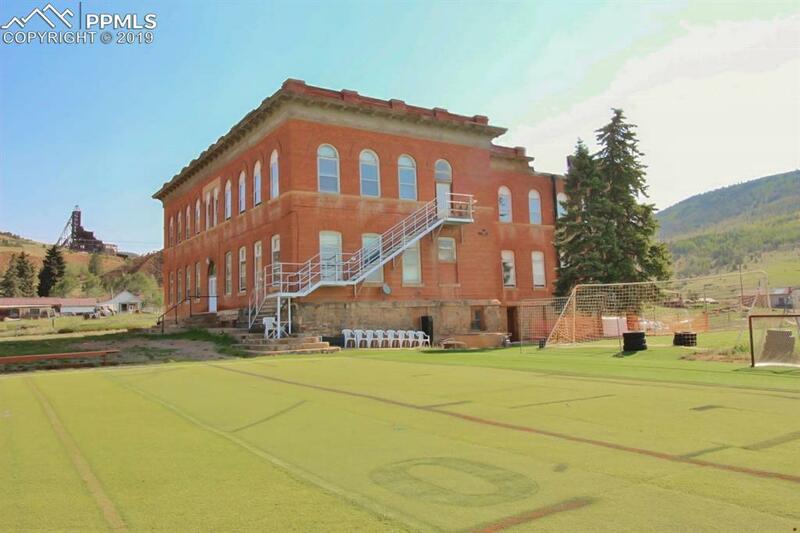 Originally built in 1899 as the Victor High School; this turn of the century land mark has an awesome 120 year old staircase, unforgettable architecture along with school black board still intact. 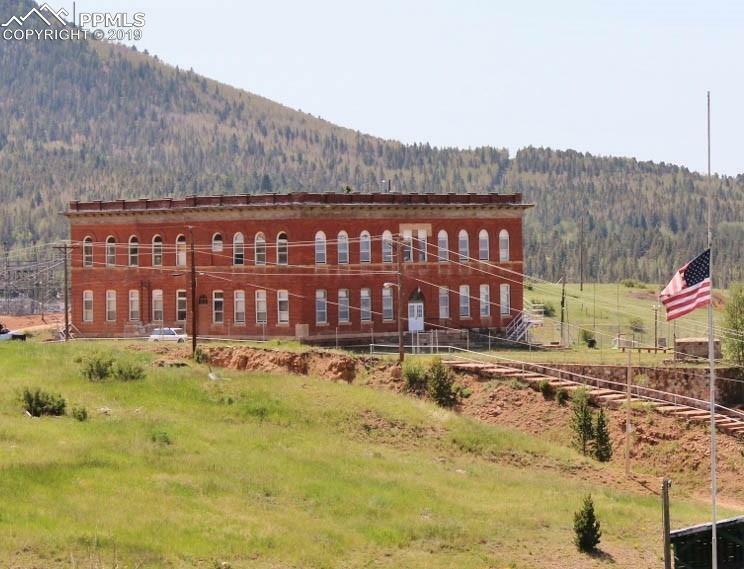 Spectacular views of the Sangre de Cristos mountain range & overlooking a historic mining town. Adjacent to a city soccer park. Updated infrastructure, water/sewer/power, newer HVAC. 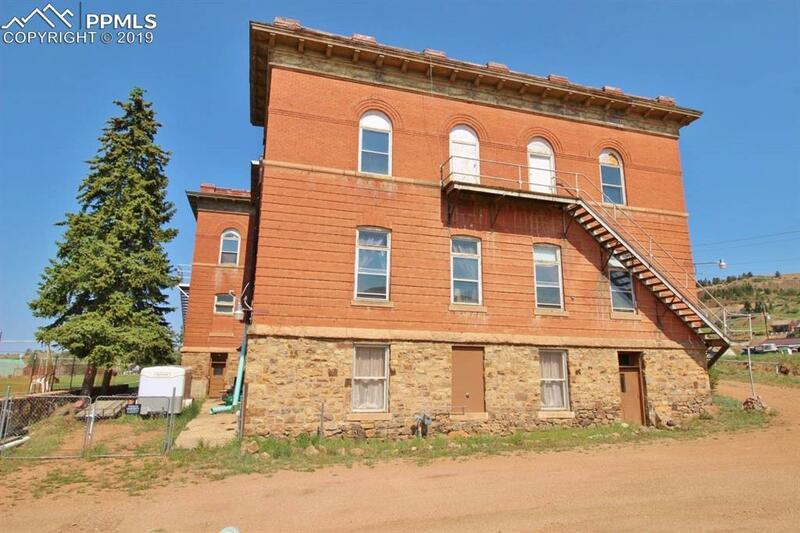 2 separate living quarters, 4 dorm style rooms; 5 single private rooms potential for commercial kitchen, along with nearly 2800 sq ft. of future expansion. Currently occupied as the Rocky Mountain Soccer Camp/High Altitude Training. Formerly used as a campground, hook ups still exist; this gem has plenty of potential for future development. Abundant parking for business or multi-family, think in terms of a resort or spa. Very attractive square foot price!